To play Ashen Empires, you need two things: an account and the Pixel Mine Launcher. 3) Next, run the Installer. It will add the Pixel Mine Launcher application to your computer. 5) Use the account you just created to log in (Launcher will begin patching and restart). 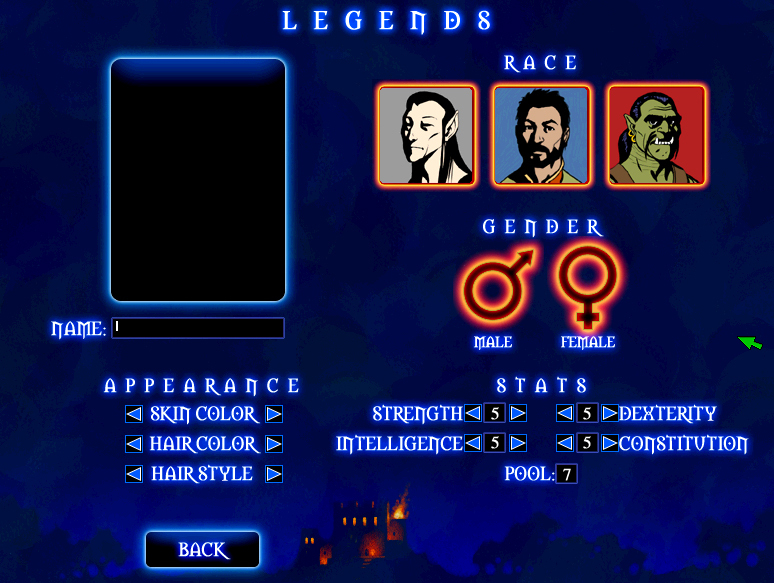 6) Log in again, select Ashen Empires, and press "Patch", then "Play" once all files are downloaded. If you have any issues during this process, please check the Pixel Mine Support page for information on how to troubleshoot. You are also more than welcome to send an email or support ticket to our staff or post for help on the forums. The latest system requirements can be found here. First you will be asked to select a server. If you are unsure which to choose, check here and choose which community would best suit you. Next you will be asked to choose your race, gender, and name. At this step you must also choose how to distribute your first few orbs (Strength, Intelligence, Constitution, and Dexterity). These stats impact your ability in certain skills. If you are unsure how to distribute your orbs, read more about Skills and Orbs. Everyone starts on Valinor Island, a safe haven for young adventurers. You will be able to play for an unlimited time on Valinor Island with a generous cap on your ability to level. This will allow you to experience a select few of Ashen Empires' unlimited possibilities and allow you to get to know your community. Your adventure starts when you find yourself washed up on the shore of Valinor Island. An NPC (Non-Player Character) will speak to you and set you on the right track. Read NPC speech carefully so that you know exactly what you're doing. If you get lost, just speak to that NPC again, they'll be able to show you the right way. 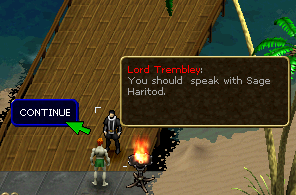 On Valinor Island, you may see players with VWC in purple text, beside their name. This means they're in a particular guild. VWC is the only guild on Valinor, and they have been picked by the Ashen Empires GMs and Developers to help out new players. If you have any problems on the island, do not hesitate to contact them! You need a mouse and a keyboard to play Ashen Empires. Most interaction with items and creatures is done with the left-click. The cursor will change when you are using an item or spell. 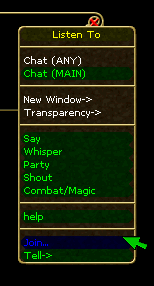 For a list of more commands while in game, press ESC and then choose HELP. You might want to start talking to other people in the community. Send a "tell" Type "/t [playername]: [Message]"
Reply to a "tell" Type "/r [Message]"
View Channel participants Type "/who [channel name]" ex: "/who help"
Press ENTER, type something, and press ENTER again - you've spoken in the say channel! Find a creature with a red name and left click it - you should be attacking it now!